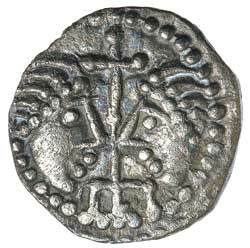 EARLY ANGLO SAXON, Secondary Series, silver sceatta, (c.710-c.760) Series J York, type 37, (1.14 g), obv. 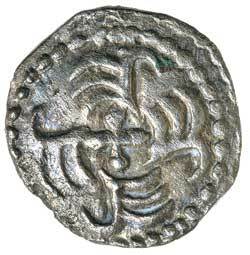 two diademed heads face to face, rev. four birds clockwise, (S.802A, series J, N 135). Toned, very fine and scarce. Ex Matthew Rich Collection and previously Andrew Gillis, WS 7897, April 2014.